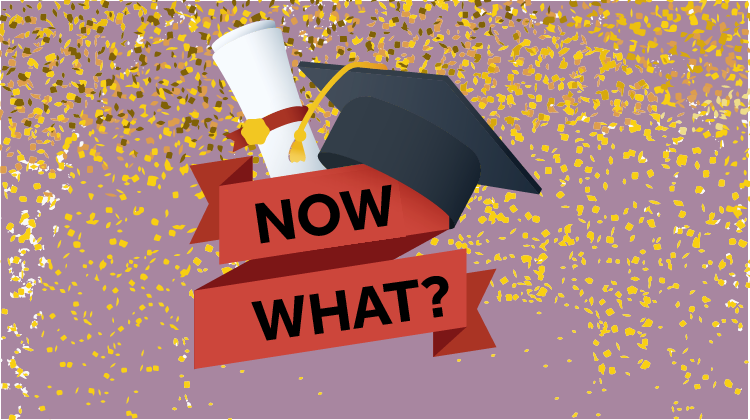 Why Did We Create Something Specifically for Recent Grads? Graduation is thrilling, exciting, and well deserved! The job search after graduation is stressful, confusing, and daunting. We can help with that. We created a group coaching program roughly 7 weeks in length to help give you a jump start to your career. You’ll start with a one-on-one session with a coach to solidify your direction and then have three group sessions to cover what it means to manage and move through your career intentionally, resumes, LinkedIn, networking, interview prep, and the best practices for actually searching for a job. You’ll end with an additional one-one-one session with your coach and finalize your Happy Spectacular Launch Plan and action steps going forward. While nothing can take the place of individual coaching, our groups are a great jumpstart into the work world. 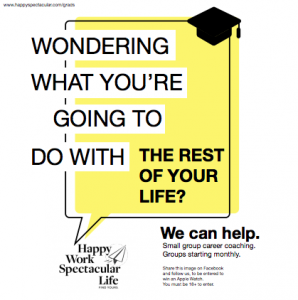 Our first group begins on April 11th and more will begin on an ongoing basis throughout the spring and summer. In a separate study, Gallup (via The Atlantic) also found that even though the majority of students say job prospects are an important factor in enrolling in college, less than half feel confident in their ability to participate in the job market and the workplace. The job market is competitive now, and those coming out of school have the ability to be as picky as the companies looking for you as long as you have the right tools under your belt. We know that you have all of the pieces to build happy work and a spectacular life post-graduation, we just want to help you put the puzzle that is your future career together. Because we are just SO excited about this launch, we are running a GIVEAWAY for a FREE APPLE WATCH on both Facebook and Instagram! You don’t have to be a soon-to-be or recent grad to enter.